Season 3 will introduce yet another speedster in a similar style to Zoom but who will have additional powers making him a more formidable villain and opponent for The Flash. Savitar is a Cold War pilot who gets struck by lightning while testing a supersonic fighter jet. Like with Barry Allen this then gives him powers of speed and ability to use the Speedforce. He then strives to learn more about his powers, but not to do good but to further his own agendas. Like The Flash he can heal fast but unlike The Flash (well from what we seen so far) he can transfer the speedforce to other objects and people. Although we have seen the speedforce being transferred using technology for example how Zoom takes The Flashes Speedforce in Season 2. But Savitar can do this without tech (we presume). Savitar will enter Season 3 in the later instalments so something to look forward to. 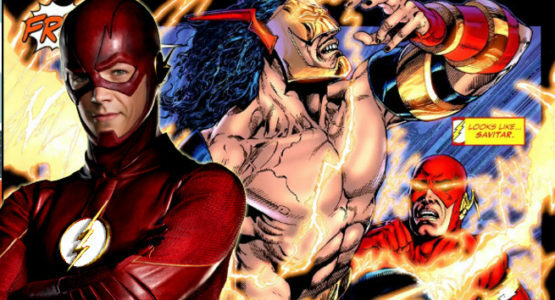 We know he will challenge The Flash in ways not seen before! Super Crossover – The Flash and SuperGirl!